The Father and the Son have tangible bodies of flesh and bones, and the Holy Ghost is a personage of spirit (see D&C 130:22). Remember: That’s three beings and three persons. 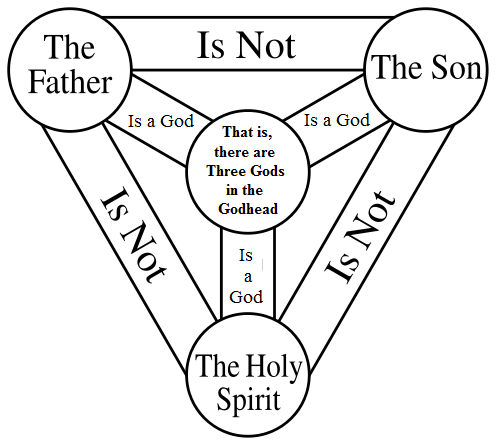 Again that’s the nutshell definition if you want a fuller explanation that I will simply refer you to the best-written description of the Trinity that I or anyone else has found in the last 1,700 or so years: The Athanasian Creed. Remember: That’s one being and three persons. So given all that, please consider the following logic exercise and tell me if and where you see any flaws in my thinking and reasoning. Based on those definitions it, therefore, follows that . . .
One being consisting of one distinct person, possible. One person consisting of one distinct being, possible. One being consisting of two distinct persons, possible. Two persons consisting of one distinct being, possible. One being consisting of three distinct persons, possible. Three persons consisting of one distinct being, possible. One person consisting of two distinct beings, impossible. One person consisting of three distinct beings, impossible. One being consisting of one separate being, impossible. One being consisting of two separate beings, impossible. One being consisting of three separate beings, impossible. One person consisting of one separate person, impossible. One person consisting of two separate persons, impossible. One person consisting of three separate persons, impossible. That is One Being, three Persons = One God. Monotheism. 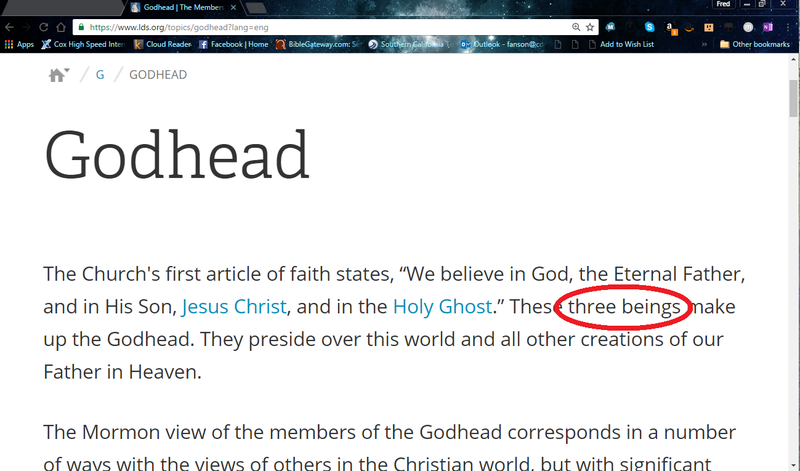 That is three Beings and three Persons = Three Gods. Tri-Theism. A graphic representation of the doctrine of the modern Mormon Godhead. Many Mormons claim incorrectly that the Mormon Godhead is Three Persons and Three Beings which equals One God. That is three Beings and three Persons = One God. Monotheism. Again, this is simply NOT possible. It is a logical contradiction because it is both internally contradictory and self-contradictory given the definition and nature of “being” and/or “person”. That said, here’s a topical reference that will, hopefully, facilitate discussion between the two sides, give Mormon Critics a place to send their Mormon friends for evidence to support this oft used claim, and help Latter-day Saints understand why the Mormon Jesus isn’t the Jesus preached in the Bible. Mormon Jesus: Is God’s first spirit child – that is, Jesus Christ has not always been God. “There is no impropriety, therefore, in speaking of Jesus Christ as the Elder Brother of the rest of humankind. That He is by spiritual birth Brother to the rest of us is indicated in Hebrews: “Wherefore in all things it behoved him to be made like unto his brethren, that he might be a merciful and faithful high priest in things pertaining to God, to make reconciliation for the sins of the people” (Heb. 2:17). Let it not be forgotten, however, that He is essentially greater than any or all others, by reason (1) of His seniority as the oldest or firstborn; (2) of His unique status in the flesh as the offspring of a mortal mother and of an immortal, or resurrected and glorified, Father; (3) of His selection and foreordination as the one and only Redeemer and Savior of the race; and (4) of His transcendent sinlessness. Biblical Jesus: Has always been God and always will be – that is, He had no beginning and has no end. Mormon Jesus: As God’s first spirit child, the Mormon Jesus is the “older brother” with all of God’s other spirit children – which includes you, me, all of humanity, and Lucifer (Satan). Biblical Jesus: Is the creator of all – including you, me, all of humanity, and Lucifer (Satan). Mormon Jesus: Is the literal Son of God begotten by an immortal Father – this doctrine compromises the virgin birth. An official LDS Church manual (Family Home Evening Manual, 1972) carried the above illustration showing the figure of a man, woman, and child on page 126. LDS parents are told they should use this to explain to their children “how Jesus was the only begotten Son of God.” Daddy plus Mommy equals you; Heavenly Father plus Mary equals Jesus. Biblical Jesus: Was born of a virgin via a miraculous conception. Thus God the Son was incarnated, born, and lived as a human being through that miracle without compromising Mary’s virginity in any way. Biblical Jesus: Is, and always has been, God eternal. In Biblical Theology God is one, and only one, eternal, omnipotent, omniscient, omnipresent Being that consists of three co-omnipresent, co-omniscient, co-omnipresent persons: God the Father, God the Son, and God the Holy Spirit. 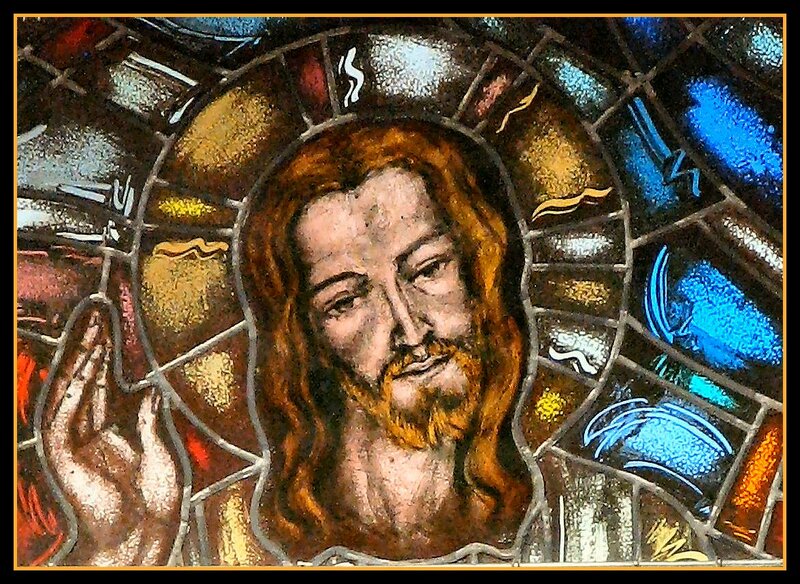 As a form of theological short hand, the term “the Trinity” is used to describe His nature. Jesus Christ is the second person of the Trinity, God the Son. While it would require it’s own article to adequately document the biblical case for the doctrine of the Trinity, here are some key proof texts and expository points for it as a kind of appetizer. If you would like the full meal I recommend “The Biblical Basis of the Doctrine of the Trinity” by Rob Bowman. – Angels do not create. – We are not made in the image of angels. – In Hebrew: “shmo ishral ieue alei·nu ieue achd”. And the last Hebrew word “achd” means “united one”. – Note that there is one name and three persons. Apparently John the Baptist was a Freemason (notice the “arm to the square”) and Jesus a modern Mormon (notice the modern baptism grip). Mormon Jesus: Earned his own salvation. “God the Eternal Father, the Father of the Firstborn and of all the spirit hosts, as an exalted and glorified Being, having all power and dominion, possessing all knowledge and all truth, personifying and being the embodiment of all godly attributes, did, of his own will, ordain and establish the plan of salvation whereby Christ and all his other spirit children might have power to advance and progress and become like him. Biblical Jesus: As God, Christ required no salvation. Mormon Jesus: Christ came to condemn and exact judgment. Mormon Jesus: Returned to the earth to preach to the Book of Mormon people and start a separate church for them in America. In the Book of Mormon Jesus descends from the clouds exacting judgment on the cities that he’s condemned due to their unbelief and sin. He then delivers a sermon (comprised mainly of plagiarized text from Isaiah and Matthew’s Sermon on the Mount narrative) that establishes his church on the American continent before ascending to heaven again in anticipation of establishing his eternal kingdom on earth at the end of the age. Wo, wo, wo unto this people; wo unto the inhabitants of the whole earth except they shall repent; for the devil laugheth, and his angels rejoice, because of the slain of the fair sons and daughters of my people; and it is because of their iniquity and abominations that they are fallen! Behold, that great city Zarahemla have I burned with fire, and the inhabitants thereof. And behold, that great city Moroni have I caused to be sunk in the depths of the sea, and the inhabitants thereof to be drowned. And behold, that great city Moronihah have I covered with earth, and the inhabitants thereof, to hide their iniquities and their abominations from before my face, that the blood of the prophets and the saints shall not come any more unto me against them. Christ appears to the Nephites. Yea, and the city of Onihah and the inhabitants thereof, and the city of Mocum and the inhabitants thereof, and the city of Jerusalem and the inhabitants thereof; and waters have I caused to come up in the stead thereof, to hide their wickedness and abominations from before my face, that the blood of the prophets and the saints shall not come up any more unto me against them. And behold, the city of Gadiandi, and the city of Gadiomnah, and the city of Jacob, and the city of Gimgimno, all these have I caused to be sunk, and made hills and valleys in the places thereof; and the inhabitants thereof have I buried up in the depths of the earth, to hide their wickedness and abominations from before my face, that the blood of the prophets and the saints should not come up any more unto me against them. And behold, that great city Jacobugath, which was inhabited by the people of king Jacob, have I caused to be burned with fire because of their sins and their wickedness, which was above all the wickedness of the whole earth, because of their secret murders and combinations; for it was they that did destroy the peace of my people and the government of the land; therefore I did cause them to be burned, to destroy them from before my face, that the blood of the prophets and the saints should not come up unto me any more against them. And behold, the city of Laman, and the city of Josh, and the city of Gad, and the city of Kishkumen, have I caused to be burned with fire, and the inhabitants thereof, because of their wickedness in casting out the prophets, and stoning those whom I did send to declare unto them concerning their wickedness and their abominations. And because they did cast them all out, that there were none righteous among them, I did send down fire and destroy them, that their wickedness and abominations might be hid from before my face, that the blood of the prophets and the saints whom I sent among them might not cry unto me from the ground against them. And many great destructions have I caused to come upon this land, and upon this people, because of their wickedness and their abominations. O all ye that are spared because ye were more righteous than they, will ye not now return unto me, and repent of your sins, and be converted, that I may heal you? Yea, verily I say unto you, if ye will come unto me ye shall have eternal life. Behold, mine arm of mercy is extended towards you, and whosoever will come, him will I receive; and blessed are those who come unto me. The Mormon view of the second coming. This is separate and distinct from him coming to the Nephites in the Book of Mormon. Biblical Jesus: Came to save, not condemn the world. Biblical Jesus: The physical return of Christ is still to come, there have been no physical returns since His ascension. Mormon Jesus: Accomplished the Atonement primarily in the garden of Gethsemane. Biblical Jesus: Procured our atonement or redemption specifically by his death on the cross. Mormon Jesus: Is never supposed to be directly prayed to. Biblical Jesus: Receives both worship and prayers. “These things have I written unto you that believe on the name of the Son of God; that ye may know that ye have eternal life, and that ye may believe on the name of the Son of God. And this is the confidence that we have in him, that, if we ask any thing according to his will, he heareth us: And if we know that he hear us, whatsoever we ask, we know that we have the petitions that we desired of him. Mormon Jesus: Is only one of many Saviors. Biblical Jesus: Is the one and only Savior. 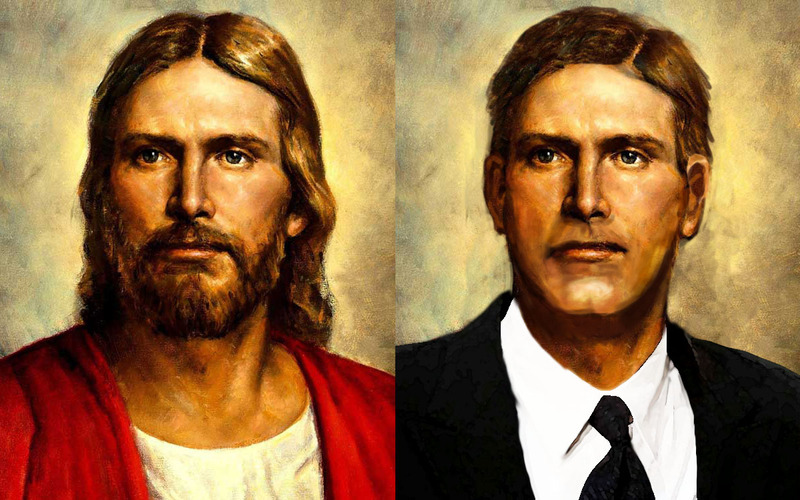 Mormon Jesus: Appeared to Joseph Smith, condemned all existing churches, and restored the only true church in what is known as “The First Vision”. “When the light rested upon me I saw two Personages, whose brightness and glory defy all description, standing above me in the air. One of them spake unto me, calling me by name and said, pointing to the other—This is My Beloved Son. Hear Him! Biblical Jesus: Stated that He alone was true and that the gates of hell would not prevail against His Church. Christ said that He is true. He never claimed in the Bible that His Church was. He further claimed that the way to the Father was by Him not His Church. This contradicts Christ’s words in the First Vision that, “they were all wrong”. Finally, the Book of Revelation shows Christ working to reform not replace errant churches (see Revelation 2:1-3:22, KJV). Mormon Jesus: Some of Jesus’ statements and acts in scripture must be revised according to Joseph Smith’s revelations. Biblical Jesus: Upheld and affirmed God’s revelation of Himself in scripture as divinely inspired, reliable, and authoritative. “If there arise among you a prophet, or a dreamer of dreams, and giveth thee a sign or a wonder, and the sign or the wonder come to pass, whereof he spake unto thee, saying, Let us go after other gods, which thou hast not known, and let us serve them; Thou shalt not hearken unto the words of that prophet, or that dreamer of dreams: for the Lord your God proveth you, to know whether ye love the Lord your God with all your heart and with all your soul. Ye shall walk after the Lord your God, and fear him, and keep his commandments, and obey his voice, and ye shall serve him, and cleave unto him. If you do not believe the doctrine of the Trinity, and favor another view yourself, I am going to give you some free advice. I am going to tell you exactly what you need to do in order to defend your non-Trinitarian position as a superior alternative to the Trinitarian view. I know, this is very generous of me, but in the interests of full disclosure I think it only fair to make this information available to the opponents of the doctrine of the Trinity. 1. Refute one or more of the essential propositions of the doctrine of the Trinity. There is one God (i.e., one proper object of religious devotion). This one God is a single divine being, called Jehovah or Yahweh in the Old Testament (the LORD). The Father of our Lord Jesus Christ is God, the LORD. The Son, Jesus Christ, is God, the LORD. The Holy Spirit is God, the LORD. The Father, Son, and Holy Spirit are each someone distinct from the other two. In order to defend an alternative position, you must refute at least one of these premises, or, you must show that all six of these propositions are consistent with another theological position besides the Trinity. I do not think the latter is possible, and in fact I do not know of any non-Trinitarian theology that affirms all six propositions (at least, not without some heavy equivocation). So, for all practical purposes, if you’re going to defend another view in place of the Trinity, you’ll have to refute one of the above premises. 2. Present a clear alternative to the doctrine of the Trinity. Constantly carping at things about the Trinity that you don’t like, can’t understand, and won’t accept is not enough. You must tell us what we should believe instead. Your position must be specific and cover the same basic issues that are addressed in the doctrine of the Trinity. 3. Identify the religion associated with that alternative to Trinitarian Christianity. It’s no good telling us that you believe X, Y, and Z instead of the Trinity, if this “alternative” is your own private confection of beliefs. I say this because the true doctrine of God will be held by a community of believers in Jesus Christ—by the church. Theologies do not exist in a vacuum, or in isolation. You are either part of a church that teaches the theology you espouse, or you are picking and choosing what you will believe from others and not committing yourself to a way of life that puts a set of teachings into practice. Jesus Christ said that he would be with his people until the end of the age as they engaged in the work of making disciples, baptizing and teaching them (Matt. 28:19-20). So, what people today are Christ’s people? This question has become acutely relevant in the Internet age, in which many individuals appear to be one-man religions, trolling the Web to attack orthodox Christian beliefs (often loudly and aggressively) but who are unprepared to identify a belief system they accept and a community that represents that belief system. 4. Show that your alternative theology does not suffer from the defects you claim to find in Trinitarianism. a. If you criticize the doctrine of the Trinity for developing in the fourth century, identify the religious tradition or movement that predated the fourth century that you think had—and has—the truth. b. If you criticize the doctrine of the Trinity for its use of extrabiblical language, show that your theology consistently avoids the use of all extrabiblical words. This is much harder than just about all anti-Trinitarians think. c. If you criticize the doctrine of the Trinity for being influenced by non-Christian philosophy or religion, show that your theology is completely free of such influences. Again, this is easier said than done. d. If you criticize the doctrine of the Trinity for being difficult to understand, show that your theology is free of anything incoherent, confusing, paradoxical, or mysterious. 5. Demonstrate that your theology explains the full range of biblical information better than the doctrine of the Trinity. This means showing that your view accounts for a wider range of biblical material, based on sound exegesis of the texts, with a minimum of ad hoc reasoning. In other words, it is not enough to argue that certain textsmight be translated so as to avoid the Trinity, or that other texts need not be interpreted in a Trinitarian fashion. Rather, you must show that your non-Trinitarian view is the best reading of more biblical texts than can be claimed on the Trinitarian side. Of course, everyone is likely to run into a text or two that is more difficult to cohere with their position, but the right view will have fewer of these difficulties. Note: All such argumentation will have to contrast the anti-Trinitarian alternative with the doctrine of the Trinity as it is actually taught in serious works of theology, not your own over-simplistic or fractured impression of what the doctrine means. 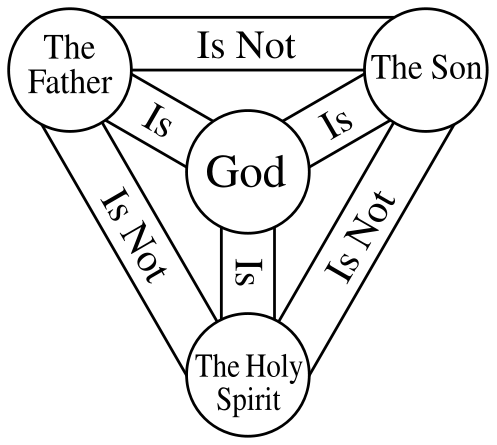 The Trinity Triangle: We believe in the Triune God-Father, Son, and Holy Spirit. This window uses the Latin Pater, Filius, and Spiritus Sanctus (Father, Son, and Holy Spirit) to name the persons in the Trinity. The window explains that the Persons are not (non est) each other, but each is (est) God (Deus). Rob Bowman is the Executive Director of the Institute for Religious Research (IRR). He has been with IRR since 2008 and is IRR’s Executive Director. Previously he served as Manager of Apologetics & Interfaith Evangelism for the North American Mission Board (2006-2008). For ten years Rob taught graduate courses in apologetics, biblical studies, and religion at Luther Rice University (1994-99) and Biola University (2001-2005). He has also worked with other apologetics and discernment ministries, most notably the Christian Research Institute (1984-91), the Atlanta Christian Apologetics Project (1994-99), and Watchman Fellowship in Alabama (1999-2000). Rob has spoken at over a hundred churches and at some three dozen conferences and debates. He has five years of experience hosting call-in radio talk shows focusing on apologetics, including the nationally famous Bible Answer Man show. Rob Bowman earned the M.A. in Biblical Studies and Theology from Fuller Theological Seminary, did doctoral studies in Christian Apologetics at Westminster Theological Seminary, and earned his Ph.D. in Biblical Studies at South African Theological Seminary. He is the author of roughly 60 articles (e.g., in the Journal of the Evangelical Theological Society, Review of Biblical Literature, Christian Research Journal, Moody Monthly, Pastoral Renewal, Mission Frontiers, and Journal of Evangelism and Missions) and 13 books pertaining to apologetics, religion, and biblical theology, including two winners of the Gold Medallion Award, An Unchanging Faith in a Changing World (1997) and Faith Has Its Reasons (2001; 2d ed., 2006). His most recent books are Putting Jesus in His Place: The Case for the Deity of Christ (co-authored with Ed Komoszewski, 2007), which received numerous endorsements from such scholars as Ravi Zacharias and Richard Bauckham, and What Mormons Believe (2012). Rob and his wife, Cathy, have been married since 1981 and have four children, three of them still living at home. This article was originally published on the IRR website. It is reprinted here in accord with IRR’s usage guidelines and with the author’s expressed permission. by Robert M. Bowman, Jr.
Shawn McCraney is a former Mormon who identifies himself as a born-again Christian but who denies the doctrine of the Trinity. He has a weekly TV broadcast called Heart of the Matter that airs from Salt Lake City. On the programs that aired April 22 and 29, 2014, he laid out several objections to the Trinitarian view of the Holy Spirit as a person. This article originated as a response to McCraney sent to him the day following the first of those broadcasts by email (to which he has so far not responded). In his TV lecture, McCraney compared God’s eternal nature of being God, his Logos (Word), and his Pneuma(Spirit) to man’s being body, soul, and spirit. Such an analogy is clearly monarchian: it characterizes God as a single person with three aspects of his being. (Monarchianism, also known as modalism, is the heresy that the Father, Son, and Holy Spirit are merely three modes or manifestations of a solitary divine Being.) According to McCraney, before the Fall, those three aspects were really difficult to distinguish from one another (even for God? ), and likewise man’s three aspects were so fully integrated as one that they could hardly be distinguished. Before the Fall, there was no Father, Son, and Holy Spirit. When man fell, God, in order to save us, divided or splintered himself into three, becoming Father, Son, and Holy Spirit (apparently not right away, since on McCraney’s view there was no Son until the Incarnation). In this new, sharp threeness God acted to redeem us in order to restore us to full integration as body-soul-spirit beings in the new birth. All of this sounds very much like monarchianism, but then McCraney threw in the comment that God, his Logos, and his Pneuma had relationships with each other before creation, though what those were McCraney said he doesn’t know. As he has done every time I have heard him, McCraney contradicted himself. God, the Logos, and the Pneuma cannot have relationships with one another if they are simply different aspects of the one God, like a man’s body, soul, and spirit. Now, the above doctrine was problematic enough, but at least in some of what McCraney said one could optimistically hope that he viewed the Father, Son, and Holy Spirit as genuinely distinct, as each someone in relationship with the other two, and therefore as largely orthodox in substance even if he rejects orthodox theological terms. At one point in that broadcast he even referred to the Father, Son, and Holy Spirit as “three persons,” though only after creation, not before it. However, in his most recent lecture he moved even further away from orthodox, biblical doctrine. The Holy Spirit, he claimed, is simply God’s power or presence, an “it,” just a way of describing God expressing his presence or power. He claimed this to be true in both the Old and New Testaments. Sadly, there is no way this can be salvaged as anything but heretical. Shawn McCraney on the April 22, 2014 Heart of the Matter broadcast referenced in this article. McCraney asserted, “The Holy Spirit is the power, the dunamis, of God. Scripture talks about it being the power of God.” Yes, Scripture does talk about the Holy Spirit as the power of God. It also calls God “the power of God” (Luke 22:69) and refers to Christ as “the power of God” (1 Cor. 1:24). Does that make God or Christ impersonal? Of course not. This is a bad argument against the personhood of the Holy Spirit. McCraney also argued—and this was his main point—that pneuma is neuter and that the Greek New Testament uses neuter pronouns in reference to the Holy Spirit. On this basis, McCraney concluded that the Holy Spirit is not a person, because “it’s an it.” Well, if pneuma is neuter and if neuter means “it’s an it,” as he claimed, then McCraney has just proved that God is an it! After all, Jesus said, “God is pneuma” (John 4:24). Notice that this is the second argument he used against the personhood of the Holy Spirit that, if applied consistently, would disprove the personhood of God as well. McCraney also argued that if translators had simply used impersonal pronouns to translate the neuter pronouns referring to the Spirit (it, its, itself, etc. ), “the case for the personality of the Holy Spirit, the person, would largely disappear from Christian belief.” That is true only of the most superficial popular way that contemporary English-speaking Christians try to defend the personhood of the Holy Spirit. The KJV often used neuter pronouns when the Greek pronoun was neuter, and the KJV translators and earliest readers were all Trinitarians. They had no trouble seeing the person of the Holy Spirit in the Bible. Oddly, McCraney went on immediately to answer his own argument, though he didn’t seem to realize he had done so. He pointed out that languages like Greek commonly assign masculine or feminine gender to nouns that do not denote persons, such as la bicicleta (“the bicycle”) in Spanish. This was apparently his rebuttal to the observation that “Comforter” is masculine in Greek (paraklētos). There’s a problem with that rebuttal, as I will explain below. But his point about nouns having gender is a good observation, but one he did not take far enough. It is also the case that languages can assign “neuter” gender to nouns denoting persons. In German, das Mädchen means “the maiden, the girl,” and obviously denotes a person, yet it is neuter in grammatical form. Similarly, the Greek paidion is grammatically neuter, but it denotes “child,” again referring to a person. Jesus is called a paidion eleven times in the New Testament (Matt. 2:8, 9, 11, 13 [2x], 14, 20 [2x]; Luke 2:17, 27, 40), all in reference to the period of several years after his birth. Matthew uses the neuter pronoun auto (which has nothing to do with cars!) in reference to “the child” Jesus: “Rise, take the child [paidion] and his mother, and flee to Egypt, and remain there until I tell you, for Herod is about to search for the child, to destroy him” (Matt. 2:13 ESV). Here the ESV uses “him” to translate the Greek pronoun auto (as does the KJV also). Luke uses the same pronoun auto in reference to Jesus as paidion twice (Luke 2:28, 40). Translators use masculine pronouns in English to represent neuter pronouns in Greek if the antecedent of the pronoun refers to a person. It’s as simple as that. The argument that neuter nouns or pronouns prove that the Holy Spirit is not a person is another bad argument. Shawn McCraney on the April 29, 2014 Heart of the Matter broadcast referenced in this article. A third argument McCraney presented was an objection to the use of the definite article “the” in English translations with the title “Holy Spirit.” He asserted that the article is “often added by translators, leading the reader to think that ‘the Holy Spirit’ is referring to a separate person.” Well, there are many places where the Greek has the article in front of the words for “Holy Spirit,” such as Matthew 28:19 (tou hagiou pneumatos), Mark 3:29 (to pneuma to hagion), John 14:26 (to pneuma to hagion), and quite a few others. (The words tou and to are both forms of the Greek article.) I assume McCraney would agree that the Greek writers of these books were not misleading readers by using the article. The fact is that Greek uses the article in a different way than English does. We normally use the article in front of what we call titles (the Father, the Messiah, the Lord, the king) but not in front of what we call proper names (Jesus, Peter, Shawn, Rob). Greek doesn’t work that way. Proper names and titles in Greek can occur with or without the article; usage is quite complicated and sometimes little more than a matter of style. The expression “in Christ” in Paul usually does not have the article (en Christō), but of course this doesn’t mean that Christ is something other than a person. And sometimes Paul writes “in the Christ” (en tō Christō), but English versions nearly always omit the article (1 Cor. 15:22; 2 Cor. 2:14; Eph. 1:10, 12, 20). McCraney made a big deal of the fact that “Holy Spirit” is never capitalized in the Greek. Apparently, he thinks this is some startling revelation that overturns conventional belief about the Holy Spirit as a person. The fact is that ancient Greek manuscripts did not “capitalize” anything. It is true that “Holy Spirit” in the Greek manuscripts was not “capitalized.” Neither was “God,” “Christ,” “Jesus,” or “Father.” For that matter, neither was “Peter,” “Paul,” or “Mary” (sorry, couldn’t resist). Ancient Greek manuscripts were written with all block letters, and later a cursive form developed that used what we call lower-case letters. But in biblical times, there was no upper-case and lower-case lettering system. Of all of McCraney’s arguments against the personhood of the Holy Spirit, this is the worst. It is so bad that it is embarrassing. If ever an example was needed of the value of a basic education in biblical studies for pastors, this is it. 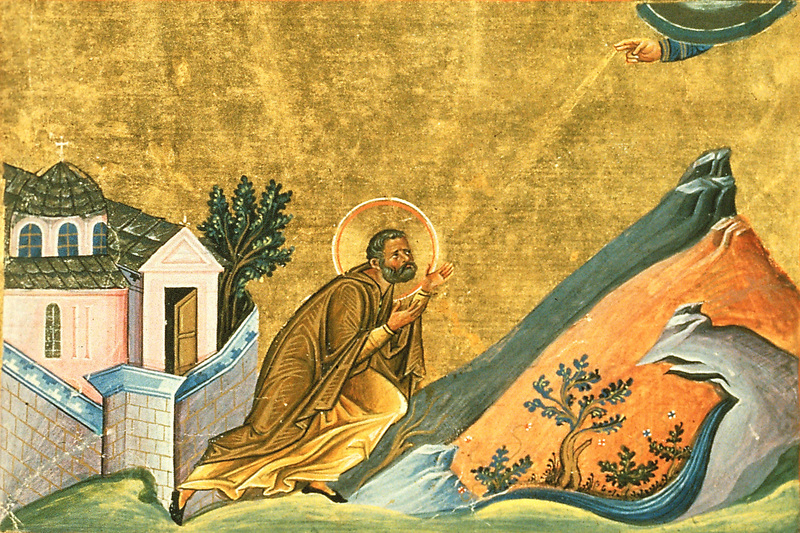 McCraney suggested that it is only “a few comparative difficult verses in the Gospel of John” that seem to refer to the Holy Spirit as a person, and he stated somewhat disparagingly that “those verses are used over and over again to prove that the Spirit is a person.” Later he suggested these could be explained away as personifications, like wisdom in the poetic passage in Proverbs 8. But Jesus was not speaking in poetry in John 14-16, and the same things that Jesus says about the Spirit in John 14-16 are said about Jesus himself by the same author. For example, the noun paraklētos clearly refers to a person, and Jesus refers to the Holy Spirit as “anotherparaklētos” (John 14:16), meaning another besides himself. In his epistle, John—the same author as the Gospel of John, of course—refers explicitly to Jesus Christ as our paraklētos (1 John 2:1). Paraklētos is not a noun that just happens to be masculine but that normally refers to something impersonal, like la bicicleta (“the bicycle”) happens to be feminine. Paraklētos is a personal noun, denoting someone who provides support, assistance, counsel, agency, mediation, or the like. If McCraney wished to claim that the noun doesn’t refer to the Spirit as a person, this would be something he would need to show exegetically from the context, which he has not done. Moreover, the case for the personhood of the Holy Spirit does not depend on John 14-16 alone. His personhood can be shown from many other parts of the New Testament, especially the Book of Acts. But John 14-16 is in the Bible and must be taken seriously, not shoehorned into a doctrinal system derived from the superficial observation that the Old Testament doesn’t advance a specific doctrine of the personhood of the Holy Spirit. Such an approach denies God the right to unfold his self-revelation in history and in Scripture progressively, as though God should have front-loaded Genesis 1 with a systematic theological exposition. McCraney pointed out that Christ and the Spirit are both called Parakletos; both are said to intercede for us (Rom. 8:26, 34), and both are said to have been given to us by God. How these things prove that the Holy Spirit is not a person, I don’t know. If anything they might seem to prove that the Holy Spirit is Jesus. (They don’t. For example, John 14:16 calls the Holy Spirit “another Parakletos,” making it clear that the Holy Spirit is not Jesus but is someone like him.) But McCraney doesn’t (usually) make that claim. At one point, though, McCraney cited 2 Corinthians 3:17-18 and concluded that it means that Jesus is the Spirit. If so, then, by McCraney’s own reasoning, either Jesus is not a person or the Holy Spirit is a person. Many of McCraney’s arguments against the personhood of the Holy Spirit, if applied consistently, would also “disprove” that God the Father is a person, or that Christ is a person. All of his objections to the orthodox doctrine are based on misunderstandings, some of them egregious. The tragedy is that these errors could easily have been avoided, if McCraney would have listened to sound teachers and studied these things carefully before publicly teaching on matters he doesn’t understand. 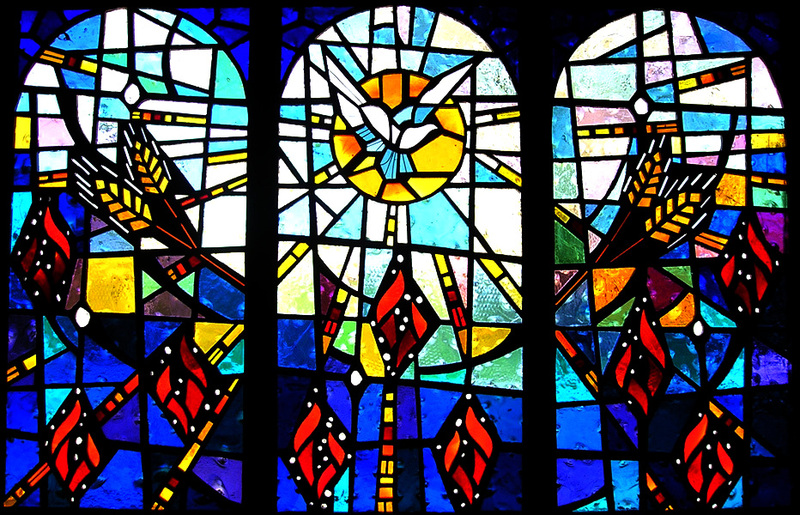 “Pentecost”, Boone Tabernacle Church of God in Christ Kansas City, MO. Artist unknown. Robert M. Bowman Jr. is the Executive Director of the Institute for Religious Research. He has been with IRR since 2008. Previously he served as Manager of Apologetics & Interfaith Evangelism for the North American Mission Board (2006-2008). For ten years Rob taught graduate courses in apologetics, biblical studies, and religion at Luther Rice University (1994-99) and Biola University (2001-2005). He has also worked with other apologetics and discernment ministries, most notably the Christian Research Institute (1984-91), the Atlanta Christian Apologetics Project (1994-99), and Watchman Fellowship in Alabama (1999-2000). Rob has spoken at over a hundred churches and at some three dozen conferences and debates. He has five years of experience hosting call-in radio talk shows focusing on apologetics, including the nationally famous Bible Answer Man show. Rob Bowman earned the M.A. in Biblical Studies and Theology from Fuller Theological Seminary, did doctoral studies in Christian Apologetics at Westminster Theological Seminary, and earned his Ph.D. in Biblical Studies at South African Theological Seminary. 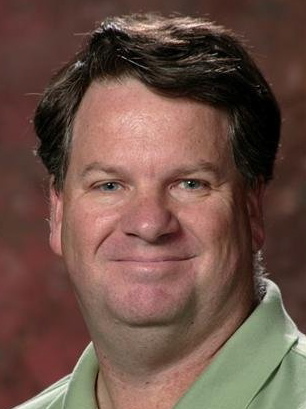 He is the author of roughly 60 articles (e.g., in the Journal of the Evangelical Theological Society, Review of Biblical Literature, Christian Research Journal, Moody Monthly, Pastoral Renewal,Mission Frontiers, and Journal of Evangelism and Missions) and 13 books pertaining to apologetics, religion, and biblical theology, including two winners of the Gold Medallion Award, An Unchanging Faith in a Changing World (1997) and Faith Has Its Reasons (2001; 2d ed., 2006). His most recent books are Putting Jesus in His Place: The Case for the Deity of Christ (co-authored with Ed Komoszewski, 2007), which received numerous endorsements from such scholars as Ravi Zacharias and Richard Bauckham, and What Mormons Believe (2012). This article was originally published on the Institute for Religious Research website. It is republished here with the express written permission of the author. This article is part of a larger series entitled “Bad Arguments against the Personhood of the Holy Spirit” which we encourage the reader to also consider upon completion of this article. It’s been an interesting few weeks if you’re a Evangelical Christian in Mormon Studies! For those of you who don’t know well known Utah TV personality, and a former Latter-day Saint who is now a Born Again critic of Mormonism, Shawn McCraney has recently been denounced by many in the Evangelical Christian Mormon Studies community as a heretic and even a cult leader. Shawn McCraney announces that his new emphasis will be the doctrine and culture of the American Evangelical church rather than Mormonism. Throughout the year of 2013 Mr. McCraney critiques a number of non-essential doctrines such as worship styles, preaching styles, fund raising, etc. He also denounces the doctrines of eternal hell, and the Calvinistic theological system raising the hackles of mainstream orthodox Christians. “Jed” a regular attendee (the group eschews “members” or “membership”) of Shawn McCraney CAMPUS ministry (see http://c-a-m-p-u-s.com/ ) calls into Jason Wallace’s Ancient Paths TV Show and presents a idyllic picture of their group of “Christian Anarchists”. In response Jason Wallace challenges Jed from the Bible and then critiques Shawn McCraney’s lack of accountability. Mr. McCraney responds to Jason Wallace’s public critique by renouncing all forms of ecclesiological accountability except in regard to finances. Shawn then proceeds to renounce the creedal basis of the doctrine of the Trinity calling it, among other things, “garbage” and derived by committee rather than God. Mr. McCraney claims that the doctrine of the Trinity was developed from pagan sources. He then goes on to teach a form of non-sequential modalism and then denies that what he’s just taught is modalism. Presbyterian Pastor Jason Wallace gives an overview of Shawn McCraney’s unBiblical behavior and shift from historic Christianity orthodoxy since January 2013. Pastor Wallace explains that, per Shawn’s request, he won’t be addressing Shawn’s new view of God until Mr. McCraney gives the additional details and expands on his beliefs on the next HOTM show – as Shawn as has promised both on the air and in private communication. Christian Apologist Rob Sivulka of Courageous Christians United publishes a blog article entitled, “Shawn McCraney is a Heretic and Needs Adult Supervision” becoming the first to formally and publicly label Shawn McCraney a heretic. The “Heart of the Matter with Shawn McCraney” Facebook page purges all critics of Mr. McCraney from the page. The page owner Derrick Webster (a key figure in Mr. McCraney’s Alathea Ministries) also blocks those critics from his personal Facebook profile making communication with him via Facebook impossible (Note: Mr. McCraney doesn’t have a Facebook account). Instead of delivering “God – Part 3”, as previously stated and promised, Mr. McCraney remains silent for the entire show. The only voices are those of John updating the viewers on the Monson United Kingdom lawsuit, a few critics, and far more supporters praising Shawn for his “bold stand” in the face of adversity. Jason Wallace addresses Shawn McCraney’s behavior and lack of accountability to the visible Church. He also addresses the division that Mr. McCraney is creating in the church through his teachings and behavior. At 25-minutes into this show CAMPUS attendee “Jed” calls in again and is unable to respond cogently and Biblically to Pastor Wallace’s questions regarding how CAMPUS is structured, organized, and run relative to Biblical injunctions and models on church structure and practices. Mr. McCraney hosts a meeting that he and his producers dub “Inquisition 2014” which is video streamed over the internet. Mr. McCraney’s critics are dubbed “Accusers”. Local Utah Pastors attending the event include Jason Wallace, Dale Finley, Bryan Hurlbutt, Cory Anderson, Chip Thompson, and others. Also in attendance was Christian Apologist Rob Sivulka and several others with Utah-based ministries. This event was posted on the internet as an “Open Forum”, but the actual format was a largely passive audience merely observing a highly controlled, staged setting. 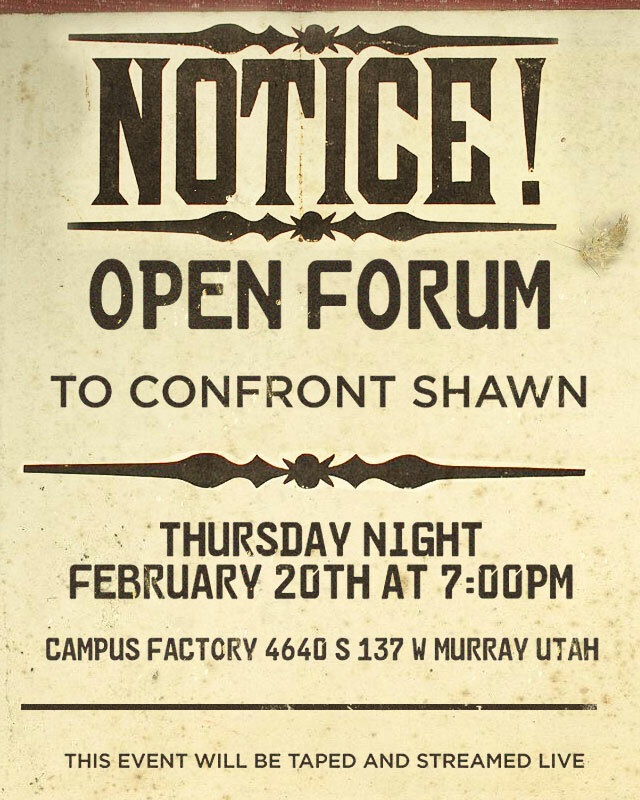 For example, those that wanted to confront Shawn were told to sign up and sit at the front of the room. These “accusers” were given a combined total of 30 minutes to state their “case”. Further, they were told specifically to only address issues about the the trinity, and were forbidden to bring up any other concerns over any of Shawn’s other controversial teachings and statements (such as accountability, Calvinism, hell, etc). This came as a shock to many in attendance as the “invitation” did not specify such a format, nor limit the topics allowed. This story is still unfolding and is far from over. As new developments occur I will add updates to this article as comments. Pastor Jason Wallace opens the February 20th “Inquisition 2014” event with a summation of the critic’s case against Shawn McCraney. Please note the “interesting” choice of words in the on-screen captioning. Coming next: In Part 2 of this series I will present an analysis of the body of evidence as well as the criticism being leveled at Mr. McCraney and explain why I am of the opinion that the criticism and heretic label is justified. I will also present my prayerful hope that Shawn will turn from the heresy of modalism, his unBiblical “Christian Anarchy”, and be restored to a place in the body of Christ where his and his gifts can find their ultimate fulfillment and unique place in God’s purposes and will for this generation. After having long private discussions with Shawn McCraney, well known and respected Theologian Rob Bowman of the Institute of Religious Research (see http://irr.org/who-we-are ; also see https://irr.org/author/robert-m-bowman-jr ) appears on Heart of the Matter, gives a brief overview of the doctrine of the Trinity and answers questions from Mr. McCraney and his viewers. The tone and timbre of the show is markedly different than the previous week’s shows. As announced yesterday, last night I was a guest on Shawn McCraney’s TV program “Heart of the Matter” to discuss the doctrine of the Trinity. In this post I’m going to review what has happened and give my take on where things stand at the moment. Shawn is a former Mormon who became “born again” while he was still in the LDS Church. He eventually came out, went to pastoral training school, and began a teaching and evangelistic ministry focused on reaching Mormons. That ministry evolved into an informal church that is rather out of the mainstream of evangelical church practice. He published a book entitled “Born Again Mormon” that was later retitled “I Was a Born Again Mormon.” By all accounts Shawn’s ministry has been unusually successful not merely in drawing people out of Mormonism but in leading them to trust in Jesus Christ alone for salvation and to experience the new birth in Christ. During the past year or so, Shawn has offered up his own views on various doctrinal issues and spoken very critically of various evangelical doctrines and movements. This development came to a head a few weeks ago when he did a couple of programs disparaging the doctrine of the Trinity. Shawn referred to the doctrine as “garbage,” as a man-made doctrine defined as a way of controlling people, and argued that the doctrine is more likely to have originated in paganism from the triads of gods in ancient religions than from the Bible. His alternative explanation at least sounded like a form of modalism, although he insisted it was not. After discussing the matter with my co-workers at the Institute for Religious Research, I emailed Shawn privately and expressed the desire to meet with him in order to get to know him personally and to discuss doctrine with him. Shawn responded very positively, welcomed the interaction, and we made arrangements. In the meantime, there were some swift and in some cases rather sharp responses to Shawn’s statements online, and this was followed up by a program last Thursday night in which Shawn and some of the local Christian ministry leaders who had criticized Shawn had an unfortunately vitriolic confrontation. I flew from Grand Rapids to Salt Lake City on Monday and met with Shawn for four hours. We made a very good personal connection, frankly recognizing that we are in temperament and experience radically different kinds of men, and had a good, constructive first discussion of the doctrinal issues. Shawn invited me to be a guest on his program Tuesday night, which I did. We met again today for a few hours and talked some more. 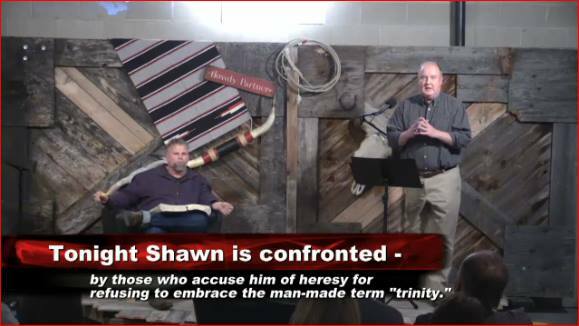 I was blessed to have an opportunity to present a solid if brief explanation of the biblical basis of the Trinity and to answer a number of Shawn’s objections in front of his audience. Afterwards I spoke with people in attendance for over an hour, and it appears that the event was helpful. What was said on last night’s program is of course public knowledge. One thing I said at the end, in response to a caller’s question, is that I consider Shawn a brother in Christ. I stand by that statement, but I also don’t want to be misunderstood. Whether Shawn is a believer, and whether he is a sound teacher, are two different questions. Some of the things Shawn has been teaching are in error, and it is important that he come to see that and make the necessary corrections. As a teacher, he is answerable to God and is held to a stricter standard with regard to what he says than other believers (James 3:1). Some of the things he said can even be fairly labeled as heretical, though he has also said things that contradicted those seemingly heretical statements. My assessment is that Shawn’s theology is confused and otherwise lacking largely because he has never studied Christian theology at a serious level and because, probably in overreaction to the programmed instruction and extrabiblical texts imposed in Mormonism, he has tried to develop his understanding by reading only the Bible. Reading the Bible without studying works on Christian theology has certainly brought Shawn a lot closer to orthodox Christianity than he was as a Mormon, and it’s certainly a far better extreme. It is, however, an extreme that has kept him from benefiting from the wealth of Christian reflection and teaching on God’s word by those who have studied the Bible for centuries before Shawn or I came along. The result is that some of Shawn’s views are at least heterodox (other than the classical, orthodox Christian doctrines). That having been said, I consider him a brother in Christ because I see evidence that God dramatically changed his life, brought him out of Mormonism, and gave him a genuine appreciation of the grace freely bestowed through the gospel. While I don’t know definitively the state of anyone else’s soul, I am inclined to give someone the benefit of the doubt and to accept him as a brother unless forced to conclude otherwise. And I really do think Shawn is a Christian, saved by God’s grace, even though some of his doctrine is seriously flawed. 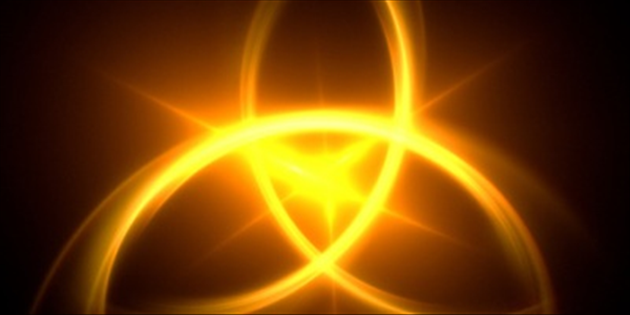 Theologically, Shawn’s thinking on the Trinity appears muddled. It is probably in flux, perhaps even more so after our discussions, which may be a step in the right direction. He has agreed that he needs to retract publicly and specifically some egregious critical remarks he made in recent weeks on the subject. His explanations at times seemed modalistic, but as we talked he backed away from those explanations, in particular his description of the Logos (Word) as one of many manifestations of God. Shawn rejects the eternal Sonship of Christ, preferring the formulation of the eternal Word. In this regard he is similar to Walter Martin, but unlike Martin, Shawn is uncomfortable designating the Word as a person. For that matter, he is uncomfortable using the term “persons” at all in reference to God, because of its association in Mormonism with physical human beings. Again, his own background and his focus on reaching Mormons have in his case led to some difficulty in coming to terms with orthodox Christian doctrine. This is a problem that I hope can be overcome as our dialogue continues. Meanwhile, at some point I do plan to make available in written form some responses to specific issues raised by Shawn regarding the Trinity, not to attack him personally but to provide substantive responses for the benefit of Shawn and others. I should mention that I have already told Shawn that I expected to do this, and he was supportive of me doing so. I would appreciate the prayers of my fellow brothers and sisters in Christ for what follows. Please pray that Shawn will have constructive meetings with local Christian leaders, including some that have been legitimately concerned about his teachings, and that they will develop respect and trust. Please pray that future discussions between Shawn and me will be fruitful. Please also pray that Shawn will be successful going forward in acknowledging past errors and in developing a sound understanding of the theology of Scripture. All of this will be a process; it will not happen overnight. Please pray with me that everyone involved will listen to one another, be gracious and patient with one another, and be willing to learn and to change and even to repent where needed. And if you have some concerns or grievances with regards to anything I have said, please feel free to come to me with them. Shawn McCraney continues his discourse on the nature of God focusing on Christ as “Light”. He also addresses his recent meetings with Rob Bowman as well as some of the criticism that he had been receiving from local Pastors and others. “This post and thread is for my fellow evangelical Christians. If you are not an evangelical, while I value your friendship, this thread is not for you. You see, the issue is not “man-made” doctrines versus the Bible as the sole authority; the issue is whether it is wise to ignore what can be learned about the Bible from teachers who have devoted their lives to pursuing its truth and sharing what they have found with the rest of the body of Christ. Christians in the twenty-first century are not meant to study the Bible in isolation from other believers, as if they were living on an island and the Bible was the only book available. The Bible itself says that God has given teachers to the church as a needed, important part of the body of Christ (1 Cor. 12:28; Eph. 4:11). To ignore those teachers, and even to dismiss them as irrelevant in one’s study of the Bible, is to go against the Bible itself. Of course, all of us who are teachers are fallible and our doctrinal understandings can be mistaken. But this is just as true of Shawn as it is of anyone else. In this regard the choice is not between man-made doctrine and the pure doctrine of the word of God. Rather, it is a choice between the doctrine of one man who thinks he can do it on his own and the doctrine of many men who listen to and learn from each other and from those who have gone before them in the pursuit of understanding the word of God. In a way, Shawn’s position is even less tenable, because he inconsistently appeals to theologians and intellectuals when it suits his purpose. He justifies his refusal to read serious works of Christian theology while seeing nothing wrong with citing the opinions and interpretations of Walter Martin or John MacArthur or even the Emphatic Diaglott if they happen to agree with his own views. In his attack on the Trinity a few weeks ago, Shawn read a string of quotations that I was able to determine he got from an online article published by a Watchtower splinter group that denies that Jesus is God. I privately challenged him for using that article. Tonight he claimed that he thinks it is fine to read books that critique Mormonism but not to read books that teach Christian theology. But is it all right to read articles that attack Christian theology? I was hoping he would understand the inconsistency of his stance on this question, but he seems to be further entrenched in that position. I will post something separately on Shawn’s lecture on John 8:12 (I don’t know if that will be tonight or tomorrow). Here I simply need to make it clear that I do not see tonight’s program as representing a step in the right direction. “On March 4, 2014, Shawn McCraney gave a lecture (I’m not sure what else to call it) on his TV show Heart of the Matter on the “ontology” of God, apparently a continuation of a series of lectures he is doing giving his own alternative to the orthodox doctrine of the Trinity. I’d like to share a few observations in response to some things he said. There is more that could be said, but this is all I have time to address for now. First, let’s be clear that when the Bible speaks of God as “light” or “fire,” this is symbolic language. I think Shawn would agree; at one point he acknowledged that God is not fire in the sense of the combustion of oxygen. It’s important to be clear on this point because sometimes Shawn uses this language as if it is somehow directly denotative of the “ontology” (his term) of God, a description of God’s being or nature. It isn’t. It is figurative language, used to express specific truths about God in his relation to us and our world. So when John says, “God is light, and in him is no darkness at all” (1 John 1:5), this is not a statement of ontology or metaphysical description of God, but an affirmation that God is morally perfect—pure holiness, goodness, truthfulness, and love—totally devoid of sin or evil. Read the next few verses and this becomes obvious: to “walk in darkness” means to live in lies and sin (1 John 1:6-7). The statement that “our God is a consuming fire” (Deut. 4:24, quoted in Heb. 12:29) was a warning that God, who had revealed himself in the wilderness and at Sinai in terrifying fire, would judge his people in righteous wrath if they chose to rebel against their covenant with him (see Deut. 5:24-26; Heb. 12:25-28). Another “God is” statement that Shawn mentioned in passing, but set aside, was John’s affirmation that “God is love” (1 John 4:8, 16). It’s too bad he didn’t spend some time on this statement. Unlike the descriptions of God as light and fire, to say that God is love is not figurative or metaphorical. It tells us that love is absolutely essential to God’s being. As Christians have reflected on this idea, they have realized that this idea makes perfect sense in the context of the doctrine of the Trinity. The three persons love one another eternally, so that indeed love is very much of the essence of God. The Bible supports this understanding. For example, Jesus said in his long prayer in John 17 that the Father loved him “before the foundation of the world” (John 17:24). This cannot be fairly or plausibly interpreted as proleptic, i.e., as meaning that God anticipated loving Jesus before Jesus came to exist. We know this is not what Jesus means, because at the beginning of the prayer that he had lived in glory alongside the Father before the world was, and he asked the Father to restore him to that glory (17:5). Thus, the Father and the Son (or the Word; it doesn’t matter) have existed distinct from one another since before creation, and the Father has loved the Son all along. Shawn spent most of the lecture developing verbal connections between Jesus’ statement in John 8:12, “I am the light of the world,” and various other texts, notably Genesis 1:1-5, John 1:1-5, and 2 Peter 1:19. To be frank, I’m not sure how his treatment of these passages clarified his view of the preincarnate Logos. Some of what he said was fine, some of it was not; in some instances I was unclear as to the significance he was deriving from these various texts. Shawn made an interesting comment regarding John 8:12. He pointed out that the Jewish leaders did not react to Jesus’ statement as if it were blasphemous. Their criticism was that Jesus was testifying to himself and therefore they considered his claim invalid (v. 13). That’s a good observation, but what Shawn thought was the significance of this observation was unclear to me. Looking at the passage historically, Jesus’ statement probably could have been interpreted by the Jews as something less than a claim to deity; they might have thought that Jesus was simply claiming to be the Messiah as the instrument of God’s “light” to the world. For example, they might have understood Jesus to be claiming that he exercised the function of the Servant of the Lord in Isaiah; that Servant is described more than once as a “light to the nations” (Isa. 42:6; 49:6; cf. 51:4; 60:3). This is in fact correct; however, only upon reflection concerning all that Jesus said and did would it be understood that he was “the light” to the nations or the world because he was God incarnate. “Shawn McCraney is a former Mormon who became a “born-again” Christian and eventually left Mormonism, received some ministry training through Calvary Chapel, and launched his own ministry in Salt Lake City to evangelize Mormons. In the past few weeks Shawn has gone public on his television show denouncing the term Trinity as “garbage” and explaining his own doctrine of God in ways that have been confused at best. I flew out to Utah to meet with Shawn, had very friendly and enjoyable conversations with him, and appeared on Shawn’s show Heart of the Matter. I also posted a few messages on Facebook regarding the controversy. On March 11, 2014, Shawn McCraney’s lecture on his TV show was a critical response to his critics, whom he characterized as scholars, theologians, and apologists who impose their exclusively “linear thinking” on the church to rule, control, and dominate. There is a “teachable moment” here because the issues that Shawn’s argument raises have relevance beyond the specific controversy over his teaching. Shawn professes to value knowledge and the contributions of scholars, but he describes himself as a “Christian artist” who views Christianity in an artistic way that the linear-thinking scholars simply cannot appreciate. But if an “artistic” thinking person can appreciate the “linear” thinking of scholars, why cannot scholars likewise appreciate the “artistic” thinking of people like Shawn? I think they can. But just as people who profess to be scholars can and sometimes do make egregious mistakes, self-described artists who profess to see the world in a fresh and unpredictable way might be fooling themselves. The “Christian artist” label does not excuse Shawn or anyone else from the responsibility of speaking faithfully to the truth. The charge that someone is teaching erroneous doctrine cannot be answered by merely asserting artistic license. Early in his lecture Shawn asked, “Just how different can a believer be in personality and worldview and still be considered a Christian?” By “worldview” Shawn apparently means the way in which a person views the world, either logically or artistically, although I didn’t catch a definition of the term. The answer to his question, if I understood it correctly, is that believers can be quite different in many ways and still be considered Christians. However, that isn’t the real question here, is it? No one is suggesting that people who are artistic or storytelling or relational or physical in their personal makeup and orientation rather than logical or scholarly cannot be Christians. Most Christians are not intellectually oriented. Believe it or not, we intellectuals noticed that a long time ago. One of the first Christian intellectuals himself commented on that fact, in a passage that Shawn quoted (1 Cor. 1:18-23). Really, we do understand this. That’s not the problem. No, the problem is the content of Shawn’s doctrinal teaching, which at best is unsound and at worst, in the estimation of at least some observers, is heretical. This concern about his teaching is either justified or it is not. How do we tell? Like it or not, we must try to think clearly about the question. Shawn himself engages in “linear thinking” when he feels comfortable doing so. His lectures are just that, lectures. He has a point he wishes to make, and he presents reasons to support the conclusion he hopes his listeners will accept. Shawn cites the Hebrew and Greek texts of the Bible, appeals to biblical scholars and theologians when he thinks they support his views, and formulates objections to statements made by his critics. He is actually much more capable of engaging in such logical, rational thinking than perhaps people realize and engages in such reasoning far more often than his self-description as a Christian artist would suggest. The appeal to his supposed artistic personality is itself presented as an argument: the logicians are wrong because they overgeneralize from their own experience and preference and don’t recognize that there are different yet equally valid ways of thinking. Which reminds me of the famous observation that there are two kinds of people in the world—those who think there are two kinds of people in the world and those who don’t. (Sorry.) When Shawn argues, for example, that the Bible presents truth in a grand narrative rather than in a systematic theology, he is presenting an argument based on the very kind of logical, linear thinking he complains is being used against him. That argument is either a sound argument or it is not. The value of the argument can be judged only on the basis of its factual support and logical validity; its value is not aesthetic, creative, artistic, emotive, or relational. It’s really a matter of the right tool for the job. If we want to stir people’s emotions, touch people’s feelings, or appeal to their intuitive sense, we use art – music, story, drama, soaring speech, visual displays, and so forth. If we want to inform people’s minds, then we present facts in a reasoned manner. If we want to explain a text of the Bible, then we use skills relevant to reading and interpreting texts. This doesn’t mean ignoring non-linear elements of biblical texts. It doesn’t mean running roughshod over symbolic language, emotive appeals by the biblical speakers and writers, or forcing the Bible into overly simplistic and rigid philosophical systems. Sound reading of the Bible appreciates the power of its narratives and the color of its poetry. But the Bible also presents didactic material that calls for careful, reasoned thinking about the subject matter. The epistle to the Romans is a theological treatise, not an Easter drama. According to Shawn, logic and linear thinking came from the Greeks. I’ve heard this one before. Friends, logic came from God, not from the Greeks. Logic, order, rationality, reason, and coherence are all reflections of the nature of God, just as much as beauty, joy, creativity, and artistry. The Greeks did not invent logic; they came up with a formal system for recognizing and teaching logic. Shawn emphasizes, fairly enough, that knowledge has value only in the context of love. “Knowledge puffs up, but love builds up” (1 Cor. 8:1b). Amen. Knowledge without love makes people prideful. A person who claims to know God but is devoid of love does not know God, because God is love (1 John 4:7-8). Shawn feels that some of his critics have been long on knowledge, or at least in claims to knowledge, but short on love. Perhaps he is right. Yet Shawn also seeks to refute his critics with arguments. Again, perhaps he is right. But there are two issues here: (1) Is Shawn’s doctrine biblically sound? (2) If it isn’t biblically sound, can this point be made in love? It would help if these two questions were kept distinct. “Once again I watched Shawn McCraney on his show “Heart of the Matter” tonight. His doctrinal explanation of the nature of God was very disappointing. The audio was off for a few minutes, but apparently Shawn compared God’s eternal nature of being God, his Logos (Word), and his Pneuma (Spirit) to man’s being body, soul, and spirit. Such an analogy is clearly monarchian: it characterizes God as a single person with three aspects of his being. According to Shawn, before the Fall, those three aspects were really difficult to distinguish from one another (even for God? ), and likewise man’s three aspects were so fully integrated as one that they could hardly be distinguished. Before the Fall, there was no Father, Son, and Holy Spirit. When man fell, God, in order to save us, divided or splintered himself into three, becoming Father, Son, and Holy Spirit (apparently not right away, since on Shawn’s view there was no Son until the Incarnation). In this new, sharp threeness God acted to redeem us in order to restore us to full integration as body-soul-spirit beings in the new birth. All of this sounds very much like monarchianism, but then Shawn threw in the comment that God, his Logos, and his Pneuma had relationships with each other before creation, though what those were Shawn said he doesn’t know. As he has done every time I have heard him, Shawn contradicted himself. God, the Logos, and the Pneuma cannot have relationships with one another if they are simply different aspects of the one God, like my body, soul, and spirit (or like they should be!). In response to a caller, Shawn asserted that Jesus was not himself the “I am”; the “I am” was God fully indwelling him. Jesus is the flesh; God is the divine being dwelling in or housed in the flesh. Yet Shawn also wants to say that Jesus is God. This same incoherence is common in one wing of Oneness Pentecostal theology. Biblically and in orthodox Christian doctrine, Jesus is not simply the flesh; rather, Jesus is the *person* who is both God and man, the eternal Logos-Son who assumed full human nature. True, he was not called “Jesus” before the Incarnation, but that really misses the point: the person we call Jesus was in existence from eternity past, not as a separate entity or being (let alone one in a “spirit body” as Shawn described, perhaps conflating his criticisms of the Trinity and Mormon doctrine), but as a distinct person who was one God with the Father (and the Holy Spirit) (John 1:1-3; 13:1, 3; 16:28; 17:5, 24). Shawn asserted that he doesn’t like the term Trinity and doesn’t like saying there were three persons before creation. Apparently saying there are three persons now is fine (at one point Shawn said this himself). If so, then the term “person” is not itself the problem; the problem is substantive, not merely semantic. But if God was once not three persons and now he is three persons, then the fundamental nature of God has changed. That implication creates all sorts of theological mischief. This is not comparable to God becoming a man, in which God’s nature remains the same but he assumes human nature (the union of two natures in the one person); Shawn’s idea amounts to God changing the divine nature. I was hoping that Shawn would move closer to the position he continues to cite in his defense, the “eternal Word” form of Trinitarianism espoused by Walter Martin. That at least would still be orthodox. Instead, in my estimation he has if anything moved further away from it, though he continues to make statements that do not fit neatly into the monarchian or modalist system. Without making any judgment about Shawn as a believer or Christian, and with the hope that he may still change or correct what he has been teaching, I regretfully think that at present what he is articulating about the doctrine of God is heresy. Shawn begins what he promises will be a multi-part series on the Holy Spirit. Without going into too much detail he claims that both the LdS Church and Trinitarian Churches are in error and not teaching what the Bible does regarding the Holy Spirit. He promises to offer a truly Biblical perspective on the Holy Spirit in the coming weeks that the viewers may find completely new and different. “I was busy Tuesday night when Shawn McCraney did his weekly TV show “Heart of the Matter,” and this is my first opportunity to comment. Shawn spent some time discussing Hebrews 13:8, arguing that it could not have been true about Christ until his resurrection. Before that, he was changing — becoming flesh, dying, and rising from the dead. Makes sense, right? In the context of Hebrews 1, this is one of a series of OT [Old Testament] quotations that the author says show the Son (Jesus Christ) to be superior to the angels (vv. 4-13). Thus, Hebrews 1:12 is referring to the “Son” (v. 2) as being the one who is “the same” (hO AUTOS). And it does not mean that he is the same only now that he has died and risen from the dead, but that he is the one who made the world and who remains unchanged even as the universe itself wears out (vv. 10-11). “On Tuesday night’s “Heart of the Matter,” Shawn McCraney claimed that “one of our modern-day theologians” told him that in Trinitarian theology the Father and the Son have the same kind of relationship as an earthly father and son. For the record, what I told Shawn was that Trinitarian theology regards the designations “Father” and “Son” for the first two persons of the Trinity, given to us in the New Testament, as meaning that the relationship between the First and Second Persons is *analogous* to the relationship between an earthly father and son. I was quite clear that it was *not* the “same” relationship. Of course, I was also clear that God the Father did not sire or procreate God the Son, as in Mormonism. Trinitarianism denies that the Son owes his existence to a procreative or generative act of the Father. The Son is eternal, absolute deity. He never came into existence at all. He did not “become” the Father’s “Son” in the same way, or even a similar way, as an earthly son becomes his father’s son, because God the Son never “became” the Son. He has always been God the Son. “Shawn McCraney constantly argues against the Trinitarian view of Jesus by pointing out that Jesus wasn’t called Jesus until he became a human being. Before that, Shawn argues, he wasn’t Jesus, or the Christ, or the Son; he was just God, the Word. But the NT refers to the preincarnate person in question by all three of those designations. It is true that the Word received the name Jesus in history at his birth, but the person called “Jesus” existed and was active in creation and history prior to his incarnation. 1. Jesus: The preincarnate Word is called Jesus in the best reading of Jude 5: “Now I desire to remind you, though you are fully informed, that Jesus [most versions say, “the Lord”], who once for all saved a people out of the land of Egypt, afterward destroyed those who did not believe.” Many of the earliest manuscripts actually say “Jesus” instead of “the Lord” in verse 5, and this is most likely the original reading. Ed Komoszewski and I give three reasons for this conclusion in our book “Putting Jesus in His Place”, 98-99. 2. Christ: Paul referred to the preincarnate Word as “Christ” twice in 1 Corinthians 10: ““For they drank from the spiritual rock that followed them, and the rock was Christ…. We must not put Christ [many versions have “the Lord” here] to the test, as some of them did, and were destroyed by serpents” (1 Cor. 10:4, 9). In the first reference to Christ, there is no textual difficulty. In the second, there is significant debate, but the reading “Christ” is probably correct. See endnote 6 on page 312 of “Putting Jesus in His Place”. For comments on the whole passage in context, see page 95.